English Language Homestays > Blog > English culture > What is British Teatime? 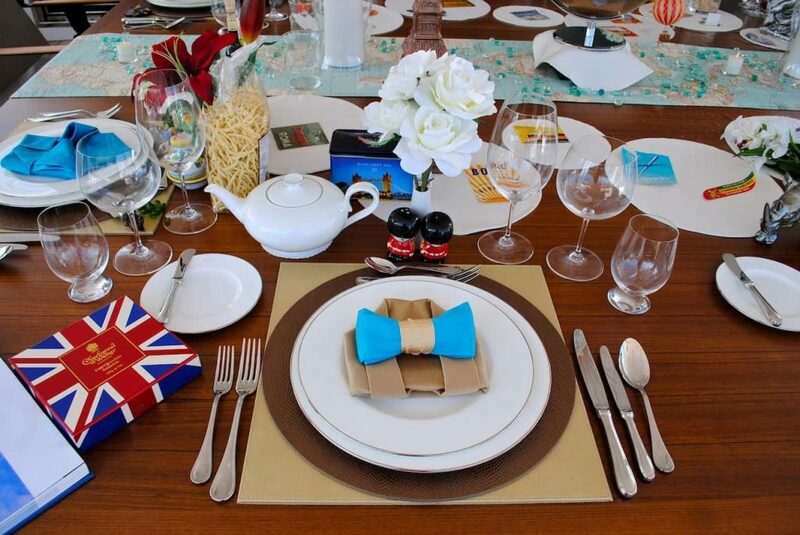 A traditional afternoon tea is quintessentially English. It is a meal that is served after 2.00pm (before this would be lunch) and no later than 8.00pm (after this would be dinner). The tradition goes back to the early nineteenth century, when Anna, 7th Duchess of Bedford complained about ‘being hungry’ during the afternoon. As drinking tea had become very popular at this time, the Duchess decided to take a pot of tea and a light snack, mid afternoon. So the afternoon tea was invented. 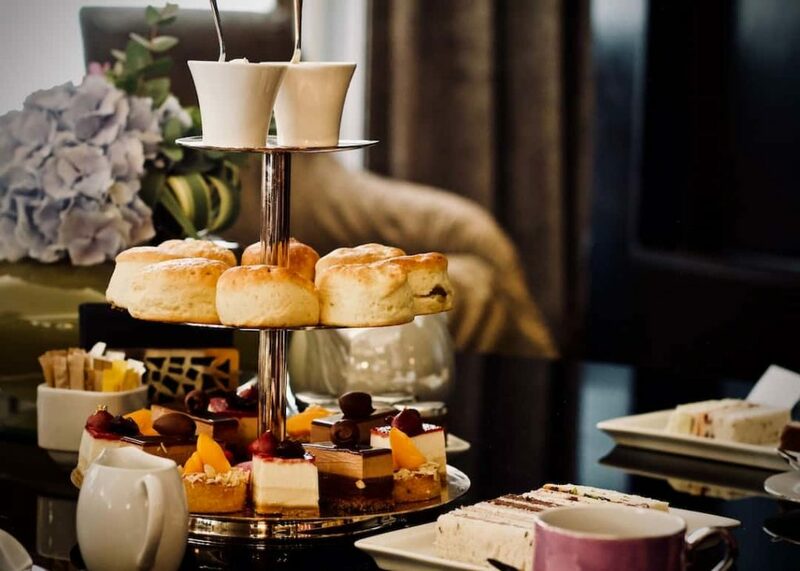 Traditionally it was the upper class that enjoyed an afternoon tea at around 4.00pm, which would have included cucumber sandwiches, cakes and pastries, together with a pot of tea. This was known as ‘Low Tea’ as the ladies would have taken it on a low table in the drawing room, always using the best china. The middle, working or lower classes would have had ‘High Tea’, which was served after a days work at around 6.00pm, at the dining table. This would have included a mug of tea, bread and butter, vegetables and occasionally meat. Today, afternoon teas are an ‘occasional’ luxury and are often for a birthday treat, baby shower or enjoyed for a hen party. You can enjoy the full experience at the big posh hotels such as The Ritz or The Savoy in London, or a seaside hotel, like The Grand in Brighton. Or you can enjoy a small village setting and go to a local tea room, where the setting will be less formal, but the menu would be similar. Some tea rooms include homemade sausage rolls, cheese straws or welsh rabebit, together with sandwiches and scones; and always a pot of tea. The original scone was round and flat, usually the size of a medium sized plate. It was invented by the Scots, who cooked it on a griddle. This is now called a Bannock cake, because when baking powder became available to the masses, scones began to be oven baked, well-leavened items as we know them today. British scones are often lightly sweetened, but may also be savoury, they can be flavoured with raisins, currants, cheese, dates, plums or rhubarb. Scones are traditionally served with jam and clotted cream, which is known as a Cream Tea. However, evidence suggests that the traditional cream tea was infact bread with cream and jam and records indicate that this existed at Tavistock Abbey in Devon, way back in the 11th century. Devonshire cream teas are made with cream on the bottom and jam on the top, but the Cornish people believe that the only way to serve cream tea is for the cream to be on the top. Cream is like the butter, you wouldn’t put butter on jam. It originates from when jam was expensive, so you’d just have a bit to put on top. You can get more cream on if you load it first! It stops you getting cream on your nose. 🙂 (jam on cream lies flatter???). If you’re sharing a cream tea with a Cornishman (although unlikely!) you get first dibs on the cream. You can taste the cream better on top! You wouldn’t put cream on the bottom of a fruit salad. So be it a posh hotel or a quaint country tea room, everyone should sample a traditional British teatime !! !